So I have a confession – I have still been using CDs to deliver images to my clients. Not that there is anything wrong with that, I have just realized that many new computers and laptops are doing away with CD drives and I needed to find a way that was more practical to get my images to my clients. Previously I had been creating a custom CD case via ProDPI, which I really loved, so I didn’t want to make the switch to USBs until I was able to find that perfect alternative that fit in with my branding. While speaking at the NAPCP retreat this past winter, I discovered that having beautiful (and custom made USBs) were possible and decided to enter 2015 in style. 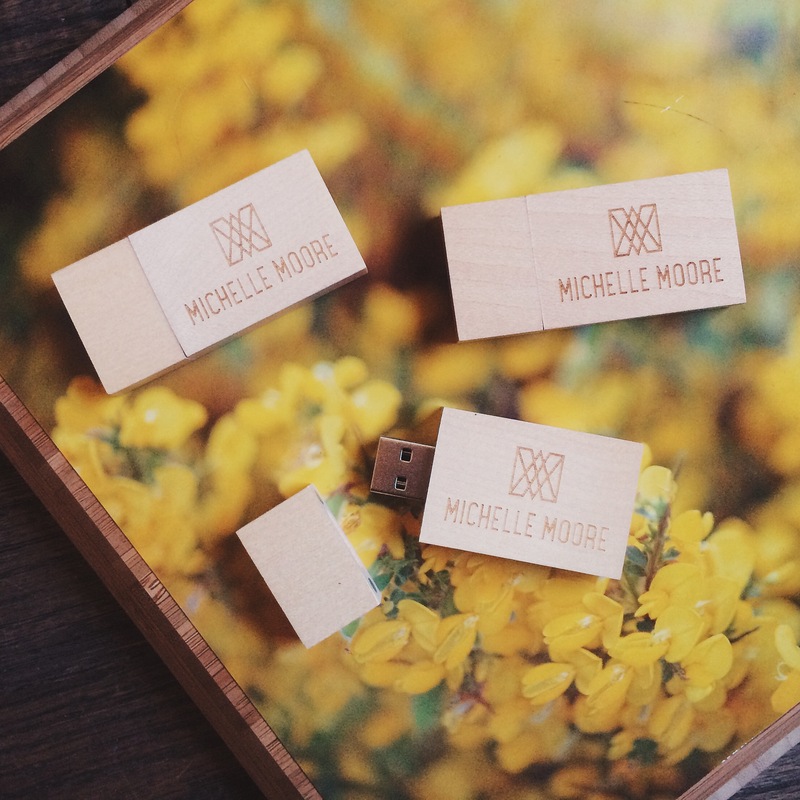 I did some research and found a few great companies who offer custom USB drives, and if you are looking for wood drives, I would recommend you check out USB Memory Direct. They have a lot of great options, but I needed something simple, beautiful and elegant. The best part is that you are able to have your logo custom engraved onto the drives – creating the perfect keepsake for your clients. These drives are exactly what I have been looking for! And the best part? The caps are magnetic – so they will always stay put. Winning! PS, check out the cute way Nessa K customized her flash drives! Learn more about USB Memory Direct on Facebook and Twitter! Product was provided by USB Memory direct in exchange for an honest review. Images and text are original and solely the opinion of Michelle Moore. Check out more of our original reviews! Have more questions about our experience with this product? Email us and we’ll add your question & answer to this review.